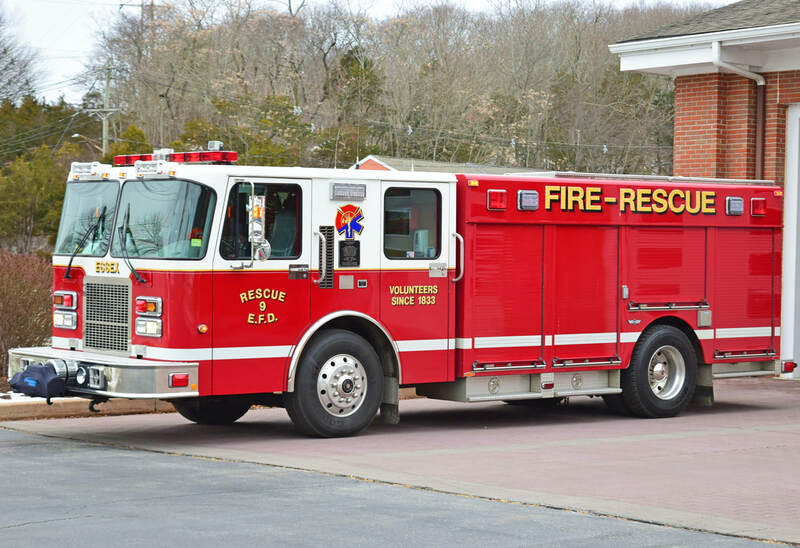 This is the page for the Essex VFD. 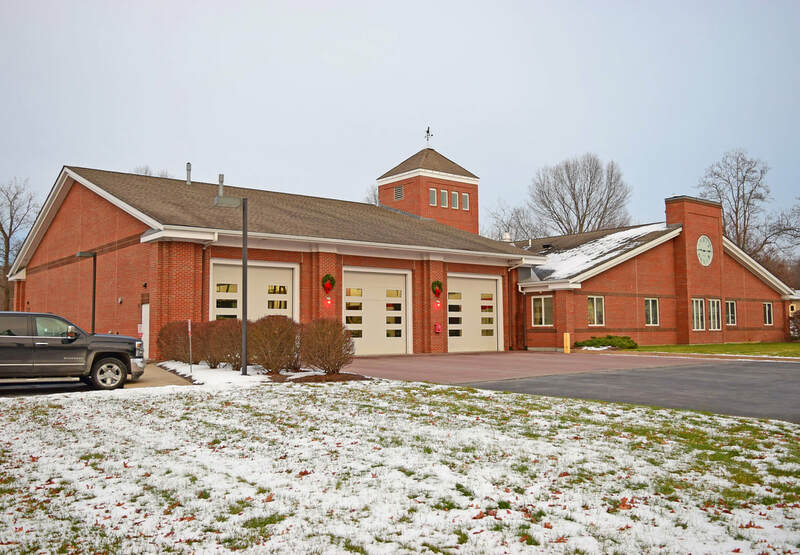 They have 4 engines, 1 tower ladder, 1 rescue truck, 1 light rescue, 1 tanker truck, 2 brush trucks, 1 SUV, 1 ATV, 1 pickup truck, 1 chief's car, 1 special ops trailer, 1 boat, and 2 stations. 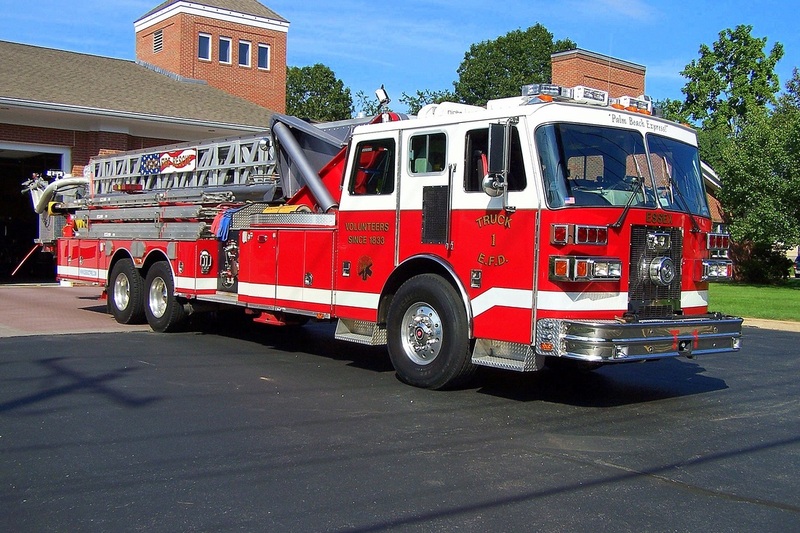 Essex's antique engine, a 1978 Maxim S model. 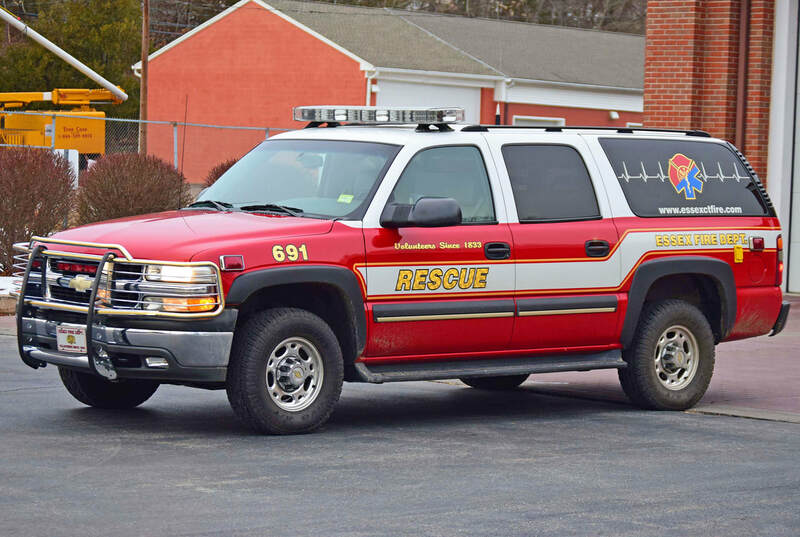 Essex's ATV 6-3-6, a 2013 Polaris Ranger. 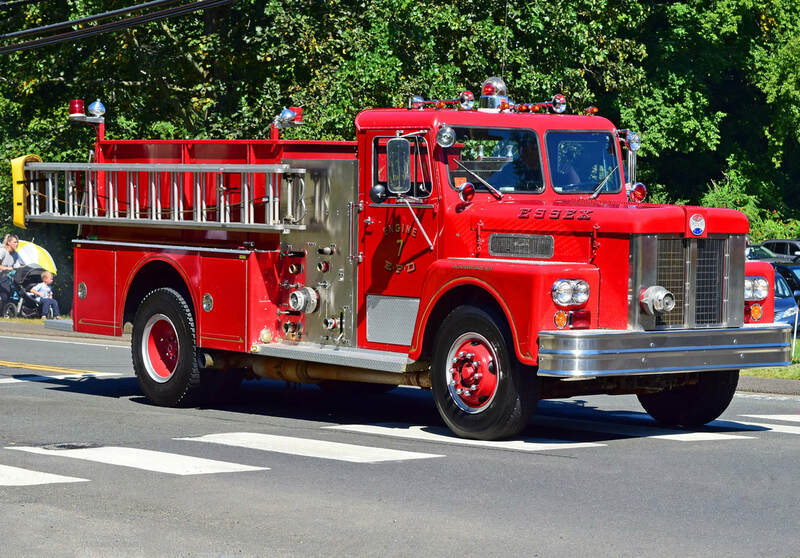 Essex's Brush 6-8-6, a 1971 AMC General 6x6 1/2 ton brush truck (ex military). 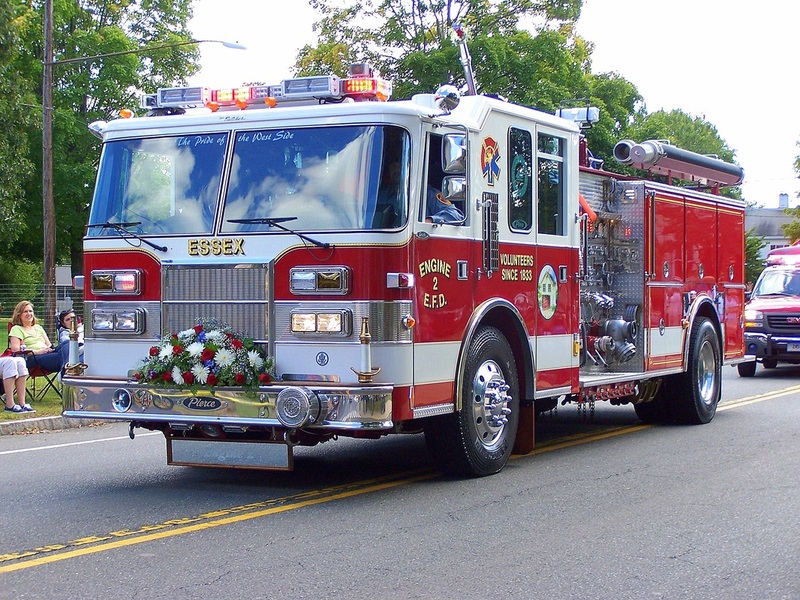 Essex's Engine 652, a 1994 Pierce Dash. 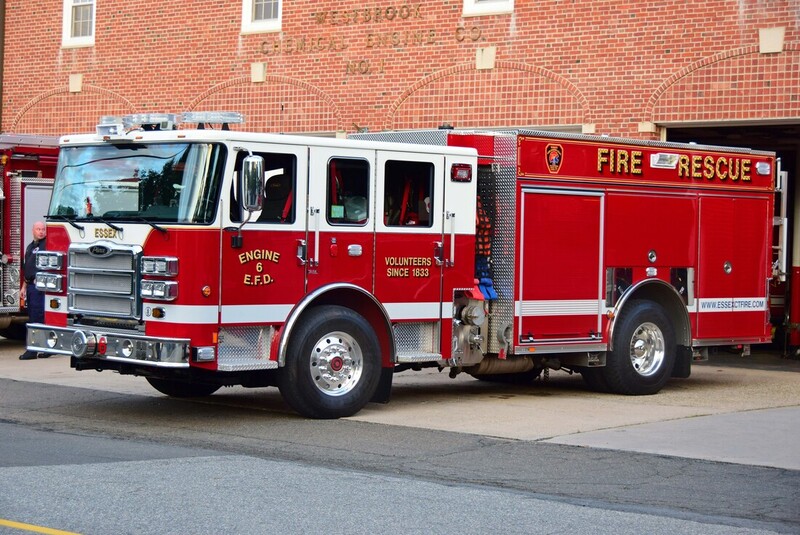 Essex's Engine 6-5-6, a 2016 Pierce Enforcer. 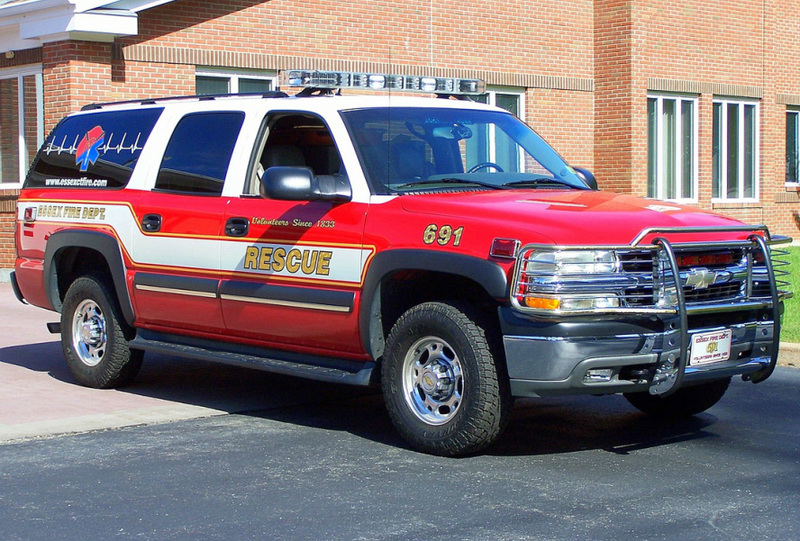 Essex's Rescue 6-9-1, a 2003 Chevy Suburban SUV EMS response vehicle. 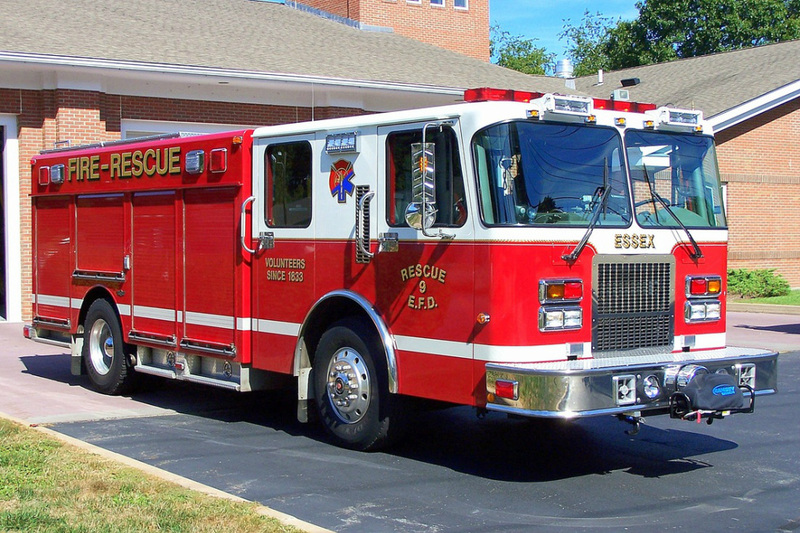 Essex's Rescue 6-9, a 1998 Spartan/SVI heavy rescue. 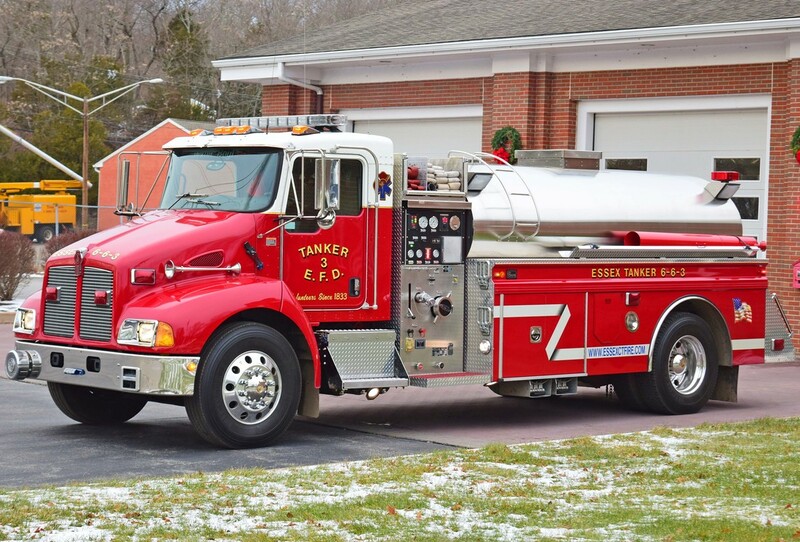 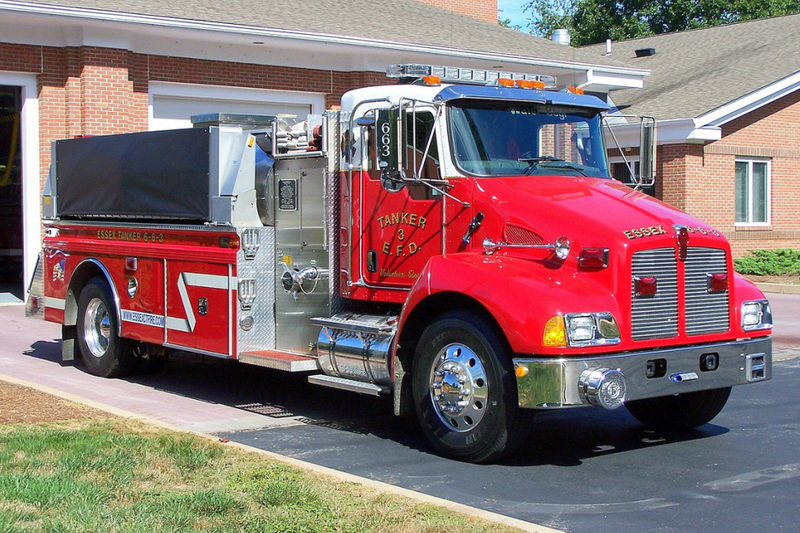 Essex's Tanker 663, a 2003 Kenworth/4Guys. 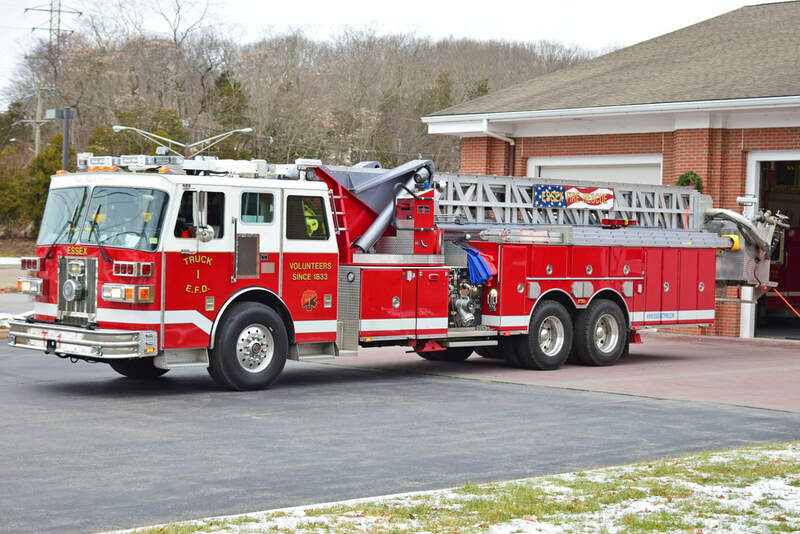 Essex's Truck 671, a 1994 Sutphen 100ft mid-mounted tower ladder (purch /refurb 2010/ex Palm Beach FL). 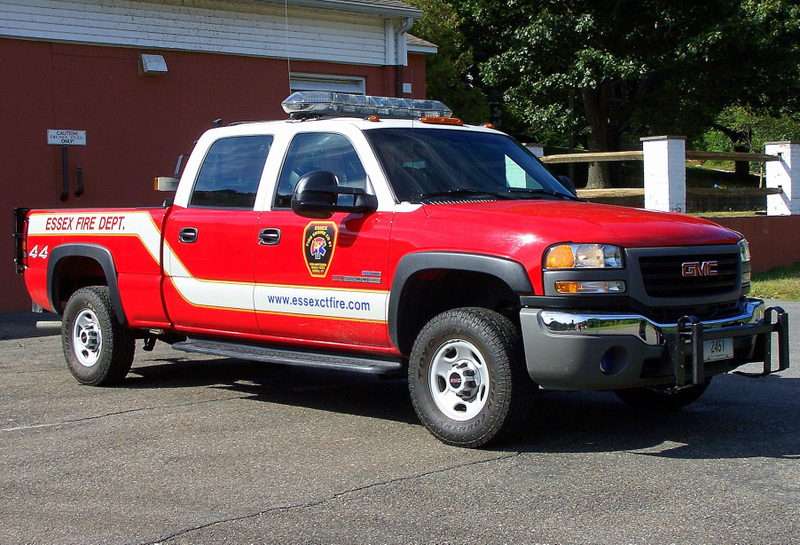 Essex's Utility 631, a 2005 GMC Sierra 4x4 pickup truck. 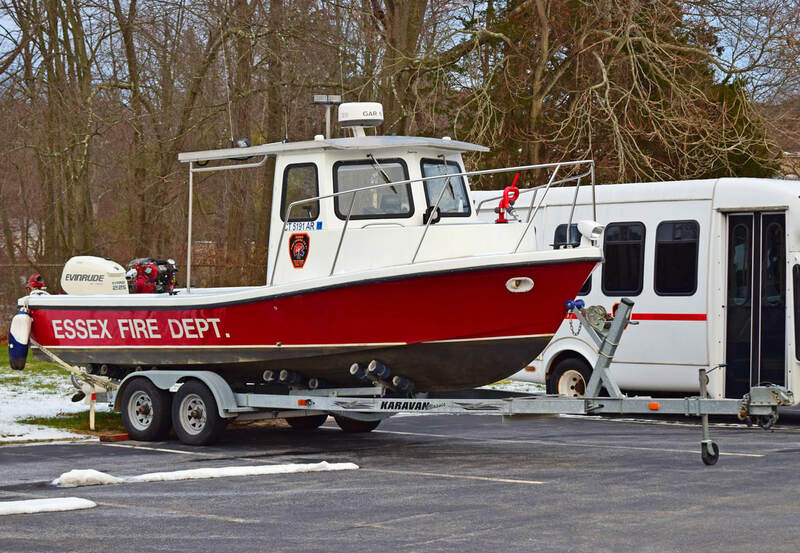 Essex's Marine 6-2, a boat. 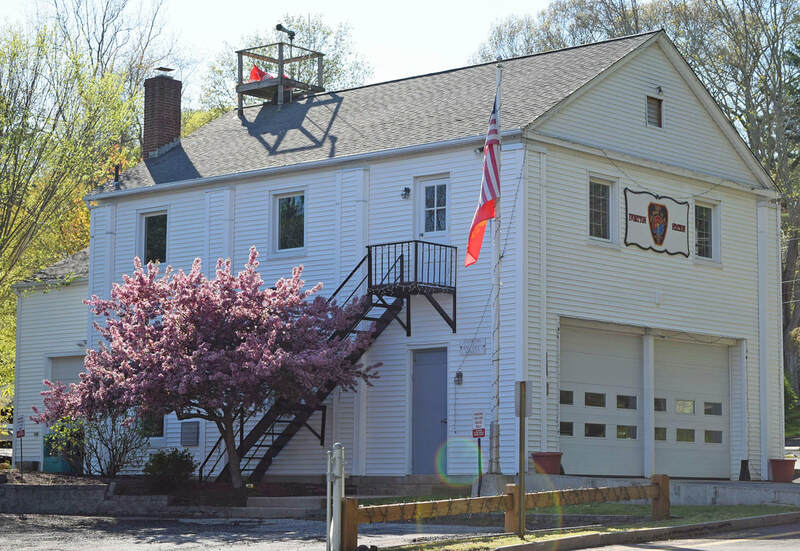 Essex's Station 1, located at 11 Saybrook Road in Essex, CT.
Essex's Station 2, located at 6 Summit Street in Ivoryton, Essex, CT.